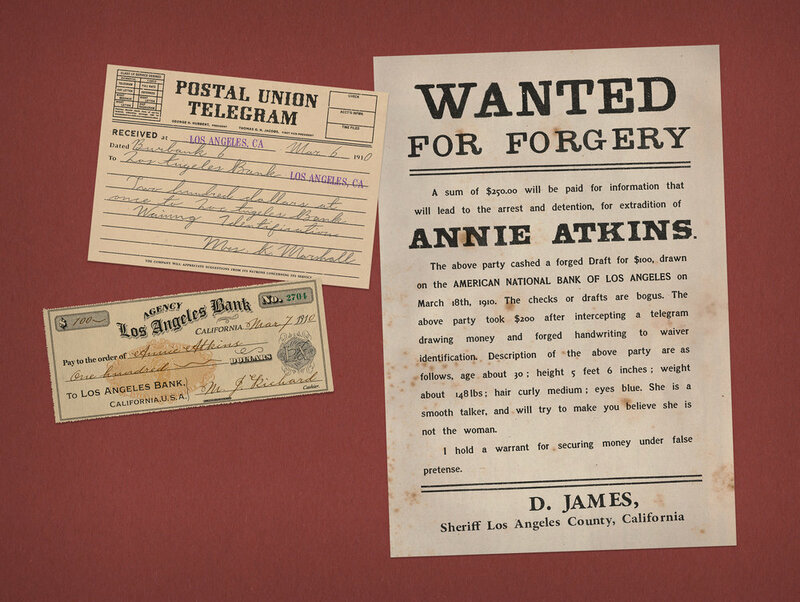 DETAIL: This Western project is set in 1910, Los Angeles, California. I wanted to create props centred around a group of women outlaws. 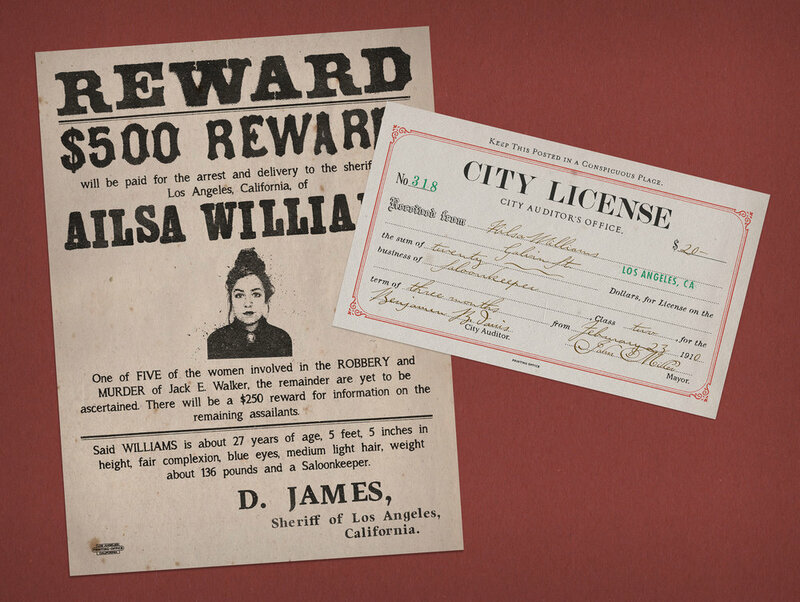 Each woman features a wanted poster and an accompanying prop that tells her story.